Featured Alumni - Cooper Schlegel - Richard Davis Foundation for Young Bassists Inc. 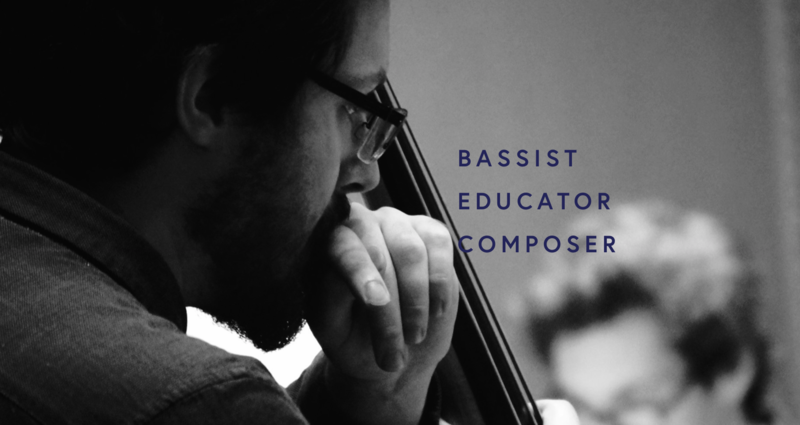 Featured Alumni - Cooper Schlegel - Richard Davis Foundation for Young Bassists Inc.
A recent post quoted Victor Wooten’s mama via his website: “What does the world need with just another good musician? We have plenty. What the world needs are good people!” – I can say with confidence that Cooper Schlegel is one of those good people, (and a good musician too!) I’m truly grateful to know him as a person and musician, and know I can speak for everyone involved with the conference, when I say, we look forward to welcoming Cooper back to Madison and to RDYB as an alumni Clinician this year! Since recently graduating UW Madison (as one of Richard’s last bass students before retirement) Cooper has, since moved back to Washington State and is carving out his place in the scene in Olympia. He is actively performing, composing music, and maintains a uniquely creative radio show. Many of you may know Cooper from his work with the Richard Davis Young Bassists’ (RDYB) Sibling Ensemble. The comedy act about the bus driver… the percussion toys… Last year, after the sibling band’s last piece, “Don’t Give Up”, there was not a dry eye in the audience. If you saw that performance- you know what I mean. I will never forget Cooper’s senior recital – a similar experience. The intensity of feeling in reaction to the vulnerability and honesty of a (semi-autobiographical) duo performance art work explored a depth of emotion that only art can. I think that pretty much sums Cooper up better than I, or any traditional musician bio can really say.